New era of stability in camera sales? While the January to June 2018 camera market overall is well down on production and shipment levels compared to 2017 and 2016, the story is far more sunny when we look at the interchangeable segment, and even more so when we look at mirrorless interchangeables specifically. While growth is great, stability is the next best thing, and an environment the camera industry hasn’t enjoyed for a decade and a half. The compact segment is still in free fall – shipments are just 60 percent of what they were in the first six months of 2017. But compact cameras as irrelevant to photo specialists as they are to consumers except for underwater, ultrazoom and other premium models. Compact camera shipments for Jan-June were valued at 78 billion yen. Interchangeable lens shipments were valued at 285 billion yen. For the year to June, interchangeable camera shipments were roughly matching 2017 levels. That’s been the case now for five of the first six months, which indicates that the decline which has been the lot of photo specialist store owners and staff for around eight years, is levelling out. Besides some welcome stability, the big change is that mirrorless interchangeables shipments are increasing at about the same pace as DSLR sales are slipping. 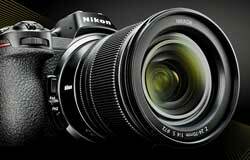 All the more reason to be excited about Nikon’s entry to the mirrorless segment with its all-new Z series. The levelling out of the camera market is also reflected in lens shipments, where the like-on-like monthly shipment figures are if anything more steady than interchangeable camera shipments. 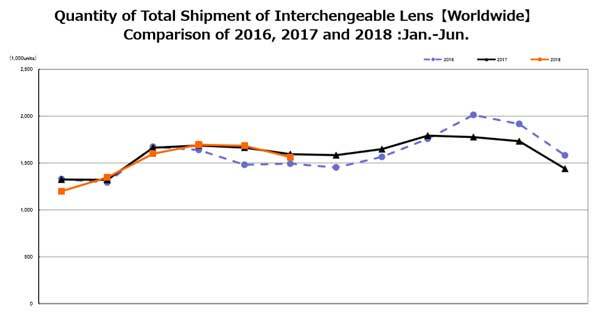 From Jan-June, lens shipment volumes were at 98.2 percent of 2017 levels in units, and 104.1 percent in value. And why not? Keen photographers have never had it so good now that Sigma, Tamron and others are releasing high quality lenses at just half the price (sometimes less) less than the camera makers’ high-end alternatives. You would have to wonder about the mid-term health of the DSLR market, though. While cameras like the Z series, the Sony Alpha range and Fujifilm’s X-series are innovative new technology for professionals and enthusiasts to embrace, change doesn’t necessarily follow a steady path. Mirrorless cameras aren’t going to grow the market much – they are going to cannibalise sales from DSLRs. Whether Canon and to a lesser extent Nikon can manage that DSLR decline, or it comes in a rush and they lose control in the process, will set the scene for the next decade. Like it or not, we are living in interesting times!